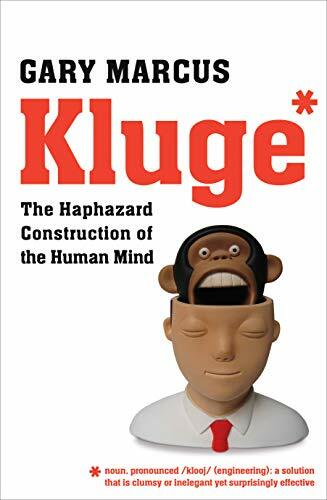 A 'kluge' is an engineering term for a makeshift solution, an inelegant construction that somehow works. This is Gary Marcus's analogy for the way the human mind has evolved. Arguing against a whole tradition that praises our human minds as the most perfect result of evolution, Marcus shows how imperfect and ill-adapted our brains really are. They have had to adapt from the environment of our early hominid origins to a complex world in which our penchant for short-term satisfactions is literally fatal. We are prone to rages, addictions and other habits that limit our capacity for rational action in every sphere, from food to politics. A breathtaking, witty and revolutionary book. Gary Marcus is a Professor of Psychology at New York University and Director of the NYU Infant Language Learning Center. A high-school dropout, Marcus received his PhD at the age of twenty-three from MIT, where he was mentored by Steven Pinker. He was tenured professor by the time he was thirty. The author of The Birth of the Mind and editor of the Norton Psychology Reader, he has been a fellow at the Center for Advanced Study in Behavioral Sciences at Stanford. His writing has appeared in the New York Times and the Los Angeles Times, among other American newspapers.